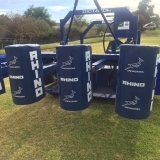 Perfect the art of scrumming with the Rhino Dictator, the scrum machine used by the Springboks. Perfect the art of scrumming with the Rhino Dictator, the official scrum machine of the Springboks. 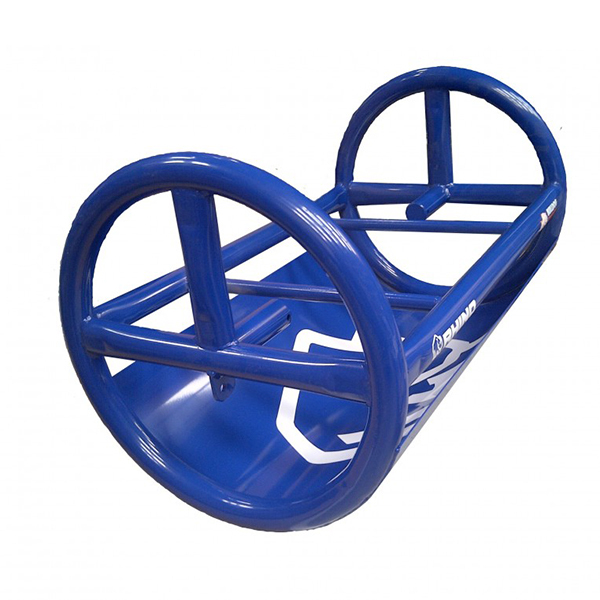 Now fitted with a hydraulic wheel system, the Rhino Dictator is a robust sled with four adjustable scrum heights and vertical, rounded detachable scrum pads. 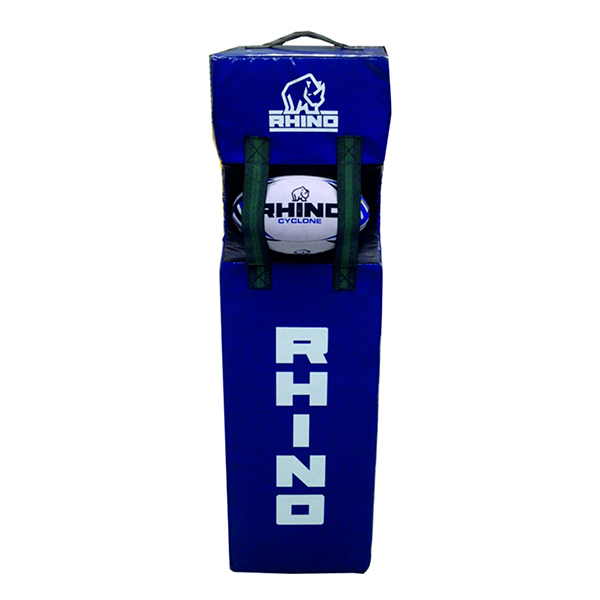 I also features a wider head and larger pads to accommodate a greater range of pack sizes and two ground spikes for use on the move. 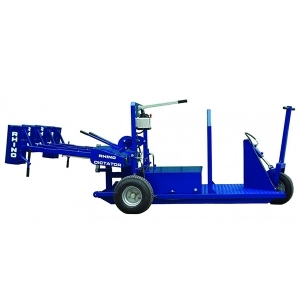 The pads move horizontally against the variable resistance hydraulic dampeners, replicating the scrum as close as possible. England Rugby, Wales Rugby Union, British and Irish Lions, French Rugby Union, Scotland Rugby Union, South African Rugby Union, Bath Rugby, Cardiff Blues, Edinburgh Rugby, Glasgow Warriors Rugby, London Wasps, Llanelli Scarlets, Northampton Saints, Sale Sharks, Saracens, Blue Bulls, Xerox Golden Lions, Emirates Lions, Gloucester Rugby, University of Stellenbosch, Paarl Boys' High School. Prices includes VAT but excludes transport charges. 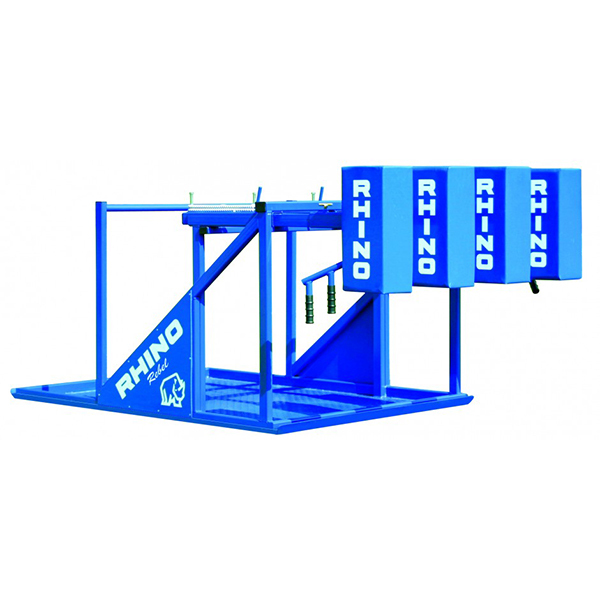 Perfect the art of scrummaging with the Rhino Dictator, the official scrum machine of the Springboks.